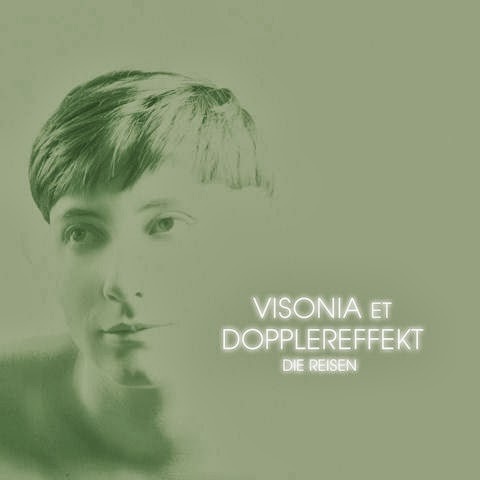 I first mentioned Dopplereffekt's collaboration with Visonia in January 2013 and finally the official release on 12” clear vinyl and digital download on the Last Known Trajectory label is available. An album, which will also include the Dopplereffekt track, is still promised. All three tracks from it, including Dopplereffekt's 'Die Reisen' (Travel) were all available to listen to online however and this remains the case, latest working links below. Visonia appears to be a talented Chilean producer called Nicolas Estany who has a knack for moody and very stylish electro with a heart. His two tracks on the EP are 'Impossible Romance' and 'Antarctic Love'. Mueller's contribution or collaboration is much more dark, even nightmarish in comparison. After a lovely scratchy and effecting opening section a really insistent, to die for and familiar beat and bassline locks in for the remainder of the track. There are some lovely distorted keyboards lines played over this as the whole track builds in a very organic way. It does tend to balance the other more uptempo tracks on the EP and whets the appetite for any more collaborations or extra curricular activities Mueller might get up to in the future.